Texas-based Closner Equipment Company was recently honored with the Roadtec “Eagle” Award for Top Dealer of the Year 2017. Texas-based Closner Equipment Company was recently honored with the Roadtec “Eagle” Award for Top Dealer of the Year 2017. 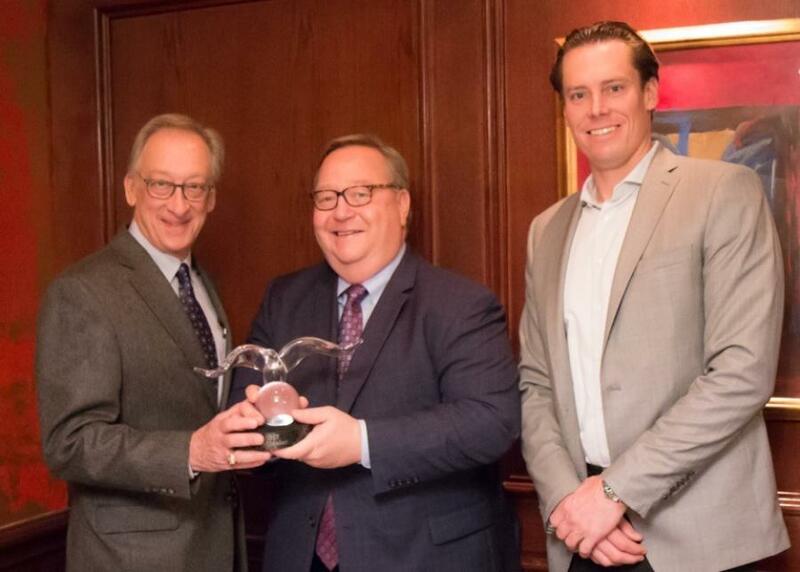 The award was presented by John Irvine, president of Roadtec, to Bennet Closner, president of Closner Equipment, in Las Vegas at the AED Summit in January. Closner Equipment has operated continuously since 1946, with three generations of family leadership specializing in the road building industry. The Closner San Antonio facility is an authorized Roadtec factory rebuild facility. They currently operate with headquarters in San Antonio, and branches in Austin and Dallas-Fort Worth.